I realize my mac and cheese recipe is a beast, so I am fine tuning it for people who don’t want a 30-pound batch (fools). This one (barely) fits in a standard 8×8 Pyrex baking dish. 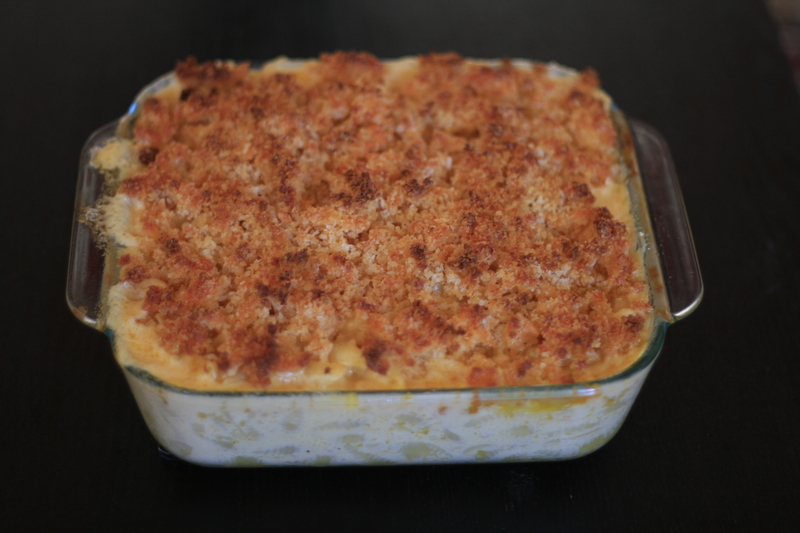 With the proper cheddar, it is probably the best mac and cheese in the entire world. Optional: 1/2 cup cooked mushrooms, chorizo, or cubed ham; a handfull of fried shallots or crumbled bacon. Note 1: the only salt used is in the pasta water, so season the water before adding noodles. Note 2: In place of a baking dish, you can use several ramekins for individual portions. These can also be frozen before baking. 1. Preheat oven to 400 degrees, butter a square Pyrex baking dish and grate cheese while pasta cooks. 2. Drain the pasta, reserving 1/4 cup pasta water. 3. In a large saucepan over medium heat, melt 2 tablespoons butter and integrate the panko and one cup of cheese. Remove from pan and set aside. 4. Return the pan to the stove and melt the remaining butter. 5. Add flour and pepper and stir constantly over medium heat for three minutes. 6. Whisk in milk, bring the sauce to a boil, whisking constantly and simmer for 3-5 minutes to thicken. 7. Add cream, cheese, mustard, sriracha and pasta water, and turn off the burner. Stir until sauce is smooth. 8. Incorporate the cooked pasta and pour into the buttered baking dish. 9. 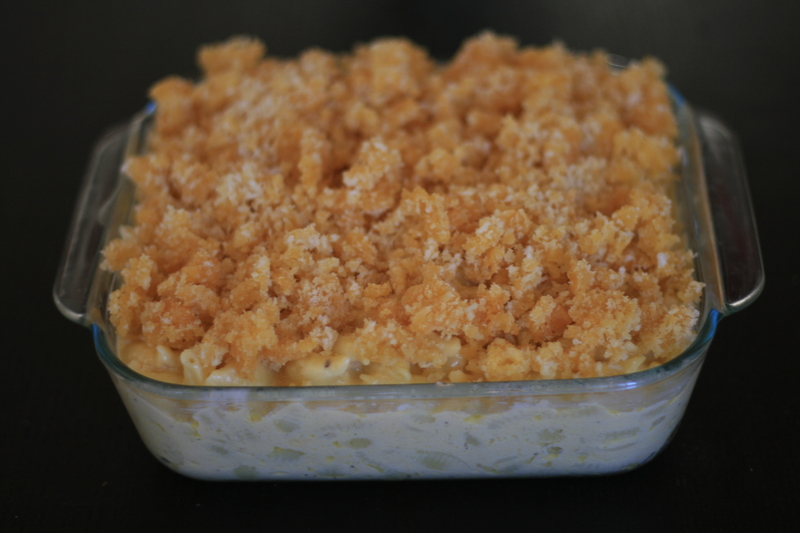 Spread panko mixture across the top and bake 12-15 minutes or until golden brown on top and bubbly.